Above: Palestinians in 1948, five months after the creation of Israel, leaving a village in the Galilee, Reuters. Key facts and figures on the ethnic cleansing of Palestine. The Palestinian experience of dispossession and loss of a homeland is 70 years old this year. On that day, the State of Israel came into being. The creation of Israel was a violent process that entailed the forced expulsion of hundreds of thousands of Palestinians from their homeland to establish a Jewish-majority state, as per the aspirations of the Zionist movement. Israel continues to oppress and dispossess Palestinians to this day, albeit in a less explicit way than that during the Nakba. The roots of the Nakba stem from the emergence of Zionism as a political ideology in late 19th-century Eastern Europe. The ideology is based on the belief that Jews are a nation or a race that deserve their own state. From 1882 onwards, thousands of Eastern European and Russian Jews began settling in Palestine; pushed by the anti-Semitic persecution and pogroms they were facing in the Russian Empire, and the appeal of Zionism. In 1896, Viennese journalist Theodor Herzl published a pamphlet that came to be seen as the ideological basis for political Zionism – Der Judenstaat, or “The Jewish State”. Herzl concluded that the remedy to centuries-old anti-Semitic sentiments and attacks in Europe was the creation of a Jewish state. Though some of the movement’s pioneers initially supported a Jewish state in places such as Uganda and Argentina, they eventually called for for building a state in Palestine based on the biblical concept that the Holy Land was promised to the Jews by God. In the 1880s, the community of Palestinian Jews, known as the Yishuv, amounted to three percent of the total population. In contrast to the Zionist Jews who would arrive in Palestine later, the original Yishuv did not aspire to build a modern Jewish state in Palestine. After the dissolution of the Ottoman Empire (1517-1914), the British occupied Palestine as part of the secret Sykes-Picot treaty of 1916 between Britain and France to divvy up the Middle East for imperial interests. In 1917, before the start of the British Mandate (1920-1947), the British issued the Balfour Declaration, promising to help the “establishment in Palestine of a national home for the Jewish people”, essentially vowing to give away a country that was not theirs to give. Central to the pledge was Chaim Weizmann, a Britain-based Russian Zionist leader and chemist whose contributions to the British war effort during World War I (1914-1918) made him well-connected to the upper echelons of the British government. Weizmann lobbied hard for more than two years with British former Prime Minister David Lloyd-George and former Foreign Minister Arthur Balfour to publicly commit Britain to building a homeland for the Jews in Palestine. By giving their support to Zionist goals in Palestine, the British hoped they could shore up support among the significant Jewish populations in the US and Russia for the Allied effort during WWI. They also believed the Balfour Declaration would secure their control over Palestine after the war. From 1919 onwards, Zionist immigration to Palestine, facilitated by the British, increased dramatically. Weizmann, who later became Israel’s first president, was realizing his dream of making Palestine “as Jewish as England is English”. Between 1922 and 1935, the Jewish population rose from nine percent to nearly 27 percent of the total population, displacing tens of thousands of Palestinian tenants from their lands as Zionists bought land from absentee landlords. Leading Arab and Palestinian intellectuals openly warned against the motifs of the Zionist movement in the press as early as 1908. With the Nazi seizure of power in Germany between 1933 and 1936, 30,000 to 60,000 European Jews arrived on the shores of Palestine. In 1936, Palestinian Arabs launched a large-scale uprising against the British and their support for Zionist settler-colonialism, known as the Arab Revolt. The British authorities crushed the revolt, which lasted until 1939, violently; they destroyed at least 2,000 Palestinian homes, put 9,000 Palestinians in concentration camps and subjected them to violent interrogation, including torture, and deported 200 Palestinian nationalist leaders. At least ten percent of the Palestinian male population had been killed, wounded, exiled or imprisoned by the end of the revolt. The British government, worried about the eruption of violence between the Palestinians and Zionists, tried to curtail at several points immigration of European Jews. Zionist lobbyists in London overturned their efforts. In 1944, several Zionist armed groups declared war on Britain for trying to put limits on Jewish immigration to Palestine at a time when Jews were fleeing the Holocaust. The Zionist paramilitary organisations launched a number of attacks against the British – the most notable of which was the King David Hotel bombing in 1946 where the British administrative headquarters were housed; 91 people were killed in the attack. In early 1947, the British government announced it would be handing over the disaster it had created in Palestine to the United Nations and ending its colonial project there. On November 29, 1947, the UN adopted Resolution 181, recommending the partition of Palestine into Jewish and Arab states. At the time, the Jews in Palestine constituted one third of the population and owned less than six percent of the total land area. Under the UN partition plan, they were allocated 55 percent of the land, encompassing many of the main cities with Palestinian Arab majorities and the important coastline from Haifa to Jaffa. The Arab state would be deprived of key agricultural lands and seaports, which led the Palestinians to reject the proposal. Shortly following the UN Resolution 181, war broke out between the Palestinian Arabs and Zionist armed groups, who, unlike the Palestinians, had gained extensive training and arms from fighting alongside Britain in World War II. Zionist paramilitary groups launched a vicious process of ethnic cleansing in the form of large-scale attacks aimed at the mass expulsion of Palestinians from their towns and villages to build the Jewish state, which culminated in the Nakba. While some Zionist thinkers claim there is no proof of a systematic master plan for the expulsion of Palestinians for the creation of the Jewish state, and that their dispossession was an unintended result of war, the presence of a Palestinian Arab majority in what Zionist leaders envisioned as a future state meant the Nakba was inevitable. Why do Palestinians commemorate the Nakba on May 15? The British occupation authorities had announced that they would be ending their mandate in Palestine on the eve of May 15, 1948. 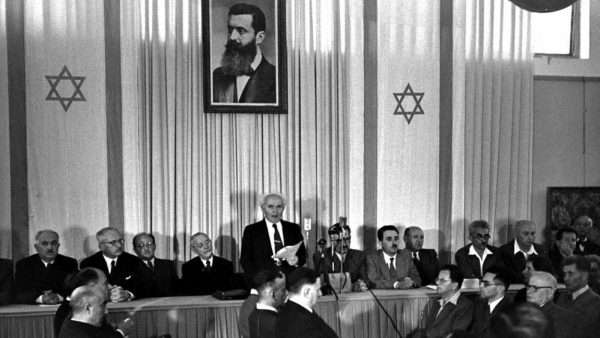 Eight hours earlier, David Ben-Gurion, who became Israel’s first prime minister, announced what the Zionist leaders called a declaration of independence in Tel Aviv. The British Mandate ended at midnight, and on May 15, the Israeli state came into being. Palestinians commemorated their national tragedy of losing a homeland in an unofficial way for decades, but in 1998, the former President of the Palestinian Authority, Yasser Arafat, declared May 15 a national day of remembrance, on the 50th year since the Nakba. Israel celebrates the day as its day of independence. When did the process of displacement actually begin? Though displacement of Palestinians from their lands by the Zionist project was already taking place during the British Mandate, mass displacement started when the UN partition plan was passed. In less than six months, from December 1947 to mid-May 1948, Zionist armed groups expelled about 440,000 Palestinians from 220 villages. Before May 15, some of the most infamous massacres had already been committed; the Baldat al-Sheikh massacre on December 31, 1947, killing up to 70 Palestinians; the Sa’sa’ massacre on February 14, 1948, when 16 houses were blown up and 60 people lost their lives; and the Deir Yassin massacre on April 9, 1948, when about 110 Palestinian men, women and children were slaughtered. How many Palestinians were displaced? As units of the Egyptian, Lebanese, Syrian, Jordanian and Iraqi armies invaded on May 15, the Arab-Israeli war was launched, and stretched until March 1949. By the first half of 1949, at least 750,000 Palestinians in total were forcibly expelled or fled outside of their homeland. Zionist forces had committed about 223 atrocities by 1949, including massacres, attacks such as bombings of homes, looting, the destruction of property and entire villages. Some 150,000 Palestinians remained in the areas of Palestine that became part of the Israeli state. Of the 150,000, some 30,000 to 40,000 were internally displaced. 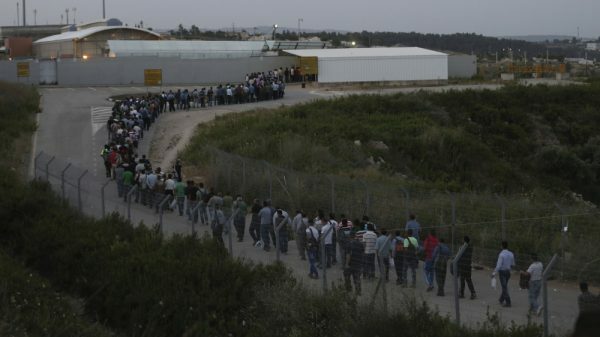 Like the 750,000 who were displaced beyond the borders of the new state, Israel prohibited internally displaced Palestinians from returning to their homes. In the years that followed the establishment of Israel, the state extended its systematic ethnic cleansing. 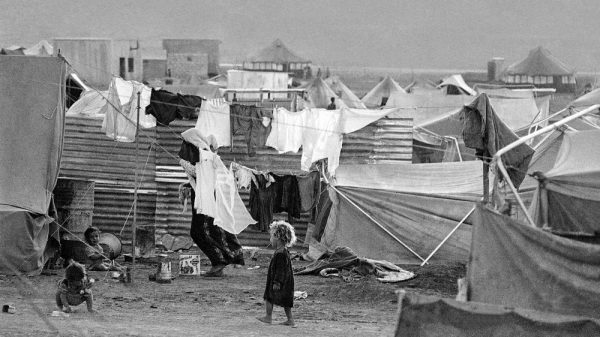 Though armistice agreements had been signed with Egypt, Jordan, Syria and Lebanon in 1949, the newly founded Israeli army committed a number of additional massacres and campaigns of forced displacement. For example, in 1950, the remaining 2,500 Palestinian residents of the city of Majdal were forced into the Gaza Strip, about 2,000 inhabitants of Beer el-Sabe were expelled to the West Bank, and some 2,000 residents of two northern villages were driven into Syria. By the mid-1950s, the Palestinian population inside Israel had become about 195,000. 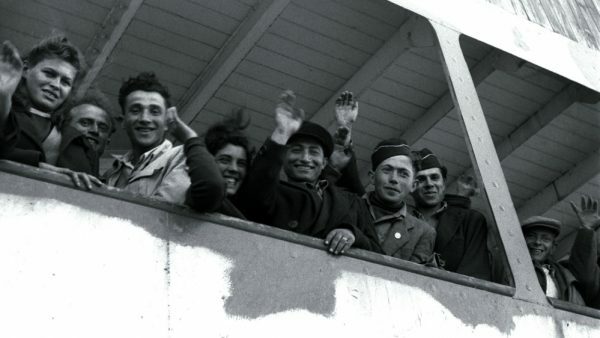 Between 1948 and the mid-1950s, some 30,000, or 15 percent of the population, were expelled outside the borders of the new state, according to the BADIL refugee rights group. While the Zionist project fulfilled its dream of creating “a Jewish homeland” in Palestine in 1948, the process of ethnic cleansing and displacement of Palestinians never stopped. During the 1967 Arab-Israeli War, known as the Naksa, meaning “setback”, Israel occupied the remaining Palestinian territories of East Jerusalem, the West Bank, the Gaza Strip and continues to occupy them until today. While under the UN partition plan Israel was allocated 55 percent, today it controls more than 85 percent of historic Palestine. 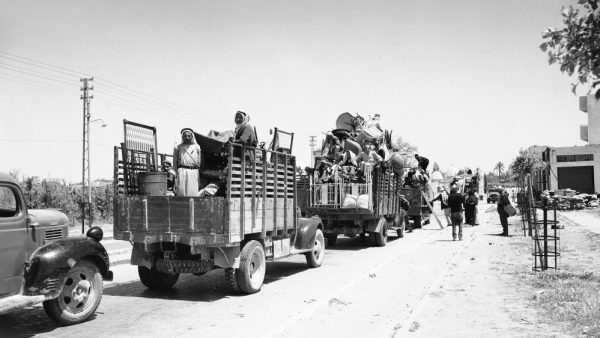 The Naksa led to the displacement of some 430,000 Palestinians, half of which originated from the areas occupied in 1948 and were thus twice refugees. As in the Nakba, Israeli forces used military tactics that violated basic international rights law such as attacks on civilians and expulsion. Most refugees fled into neighbouring Jordan, with others going to Egypt and Syria. The more than three million Palestinians living in the occupied West Bank and East Jerusalem face home demolitions, arbitrary arrests, and displacement as Israel expands the 100-plus Jewish-only colonies and steals Palestinian land to do so. Palestinian movement is restricted by military checkpoints and the Separation Wall that has obstructed their ability to travel freely. 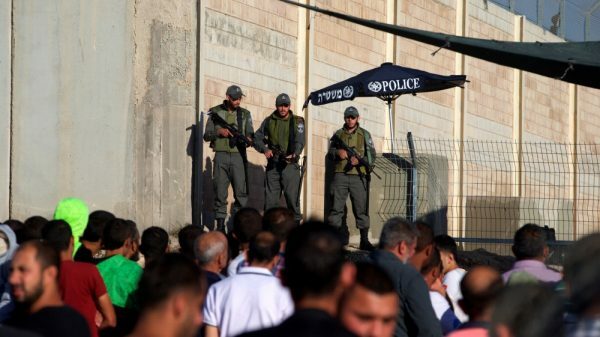 The Gaza Strip, where some two million Palestinians live, has been under Israeli siege for more than a decade whereby Israel controls the air space, sea and borders; the Strip has also witnessed three Israeli assaults that have made the area close to uninhabitable. Within Israel, the 1.8 million Palestinians are an involuntary minority in a state for the Jews. Rights groups have recorded some 50 laws that discriminate against them for not being Jewish, such as ones that criminalise the commemoration of the Nakba. Since the creation of Israel, no new Palestinian towns or cities were built within its borders, in contrast to the 600 Jewish municipalities that have been developed, according to Adalah, the legal centre for Arab Minority Rights in Israel. Since 1948, some one million Palestinians have been arrested by Israel, according to the Palestinian Central Bureau of Statistics. Additionally, some 100,000 Palestinian homes have been demolished (not including the Nakba or the Gaza wars), according to BADIL. Today, there are about 7.98 million Palestinian refugees and internally displaced persons who have not been able to return to their original homes and villages. Some 6.14 million of those are refugees and their descendants beyond the borders of the state; many live in some of the worst conditions in more than 50 refugee camps run by the UN in neighbouring countries. PR is a great go-to source of journalistic/reporting integrity and honesty. Thank you!